My ESPP is very standard. Each month I am allowed to use up to 25% of my salary to buy stock shares. There is a maximum of 25000 CHF per year. The shares are not bought directly but at the end of six months. Each six months, the accumulated money from your salary is used to buy stock shares. What is very interesting with an ESPP is that the share price is not the market value. The price is at least 15% cheaper than the market value. In my case, they will be bought 15% cheaper than the minimum between the current market value and the price at the beginning of the offering period. This means that if the stock is going up, you can get a higher discount than 15%. For instance, imagine that the stock is at 10 at the beginning of the period and 15 at the end. You will buy at 8.5 and can sell at 15. That is a 76.5% gain! If the stock goes down, you get at least 15%. It is a no-brainer that you should allocate the maximum permitted by your ESPP. It is a very large gain. The first strategy is to sell the shares as soon as possible. As soon as the shares are available at the end of the period, you sell them. This guarantees you 15% return on investment. And it can be much higher if the stock of the company went up. This is the safest strategy. Mathematically, it is the one that makes the more sense I think. It is also the strategy that is advised by the most people. The second strategy is to hold the shares. You hold the shares for long-term and you only sell when you need the funds. You have to be sure of the value of the stock for this. For instance, does your company shares pay a dividend ? Do you believe in the long-term returns of the company ? You have to be aware also that this makes a bias to your work. If the company goes bankrupt, you will leave your job and lose a lot in stocks. This is a risk that you need to take into account. If you have a very large net worth and your company shares are a very small pat of it, it is safer to hold your company shares. Another strategy is to hold for a specific time. I know some people are always holding for at least one month or at least one year before selling. This is still risky since the stock can go down before you sell. But it is less risky than owning forever since you will never have a very large part of your net worth in your company shares. If you are a value investor, you can also hold if the stock is undervalued. In that case, you will need to evaluate yourself the value of the stock. If the current price is lower, you hold onto it, otherwise, you sell. This requires that you have a very good knowledge of the company and of the stock market in general. Yet another (bad) strategy is to hold until you feel you should sell. This market timing. How are you going to know when it is time to sell ? Professional investors have failed to do that for decades. If you want to hold, it is fine, but do not try to time the market. There are also some complicated strategies involving options and futures. But that this definitely not something I want to do. And I do not advice to do it either. I believe in simplicity in investing. Currently, my net worth is quite small. Since I am already depending on my company for my job and thus my income, I do not want to depend too much on the stock as well. For now, I need some diversification. Therefore, I plan to use the safest strategy of selling as soon as I get the shares. I will do that at least for this year and 2019. Them, I will reconsider my strategy as my net worth should have increased and I may switch to hold the shares. I will probably update my Investor Policy Statement with this strategy. As for the allocation, I allocated 25% of my salary towards my ESPP. One thing is important with ESPP: Use it! A lot of people do not use it enough. Some people do not use it because of the of fear of investing in stocks. But if you sell directly, it is a return much safer than stocks! Some people feel 15% is not enough. But today, 15% return is huge! You should allocate the maximum from your salary to your ESPP if you are lucky enough to have one. If you sell directly, it is just a delay in income. You will get it later ;) And you will get more than what you allocated. Why would you not want that ?! What about you ? How do you use your ESPP ? Not only as much as you can afford from your salary, but the top period. Think of it like this. Take money out of savings for the first period of espp to support yourself. Sell immediately, then use that payment minus return to supplement income next period. Rinse and repeat. Your income doesn’t need to play into it, only the first period of supplement in assets. Obvious disclaimer I’m not your financial advisor you do everything based on tour own research applies. That’s indeed a superior way to think about it! I will update my post to reflect this. I didn’t think that it will come back anyway! 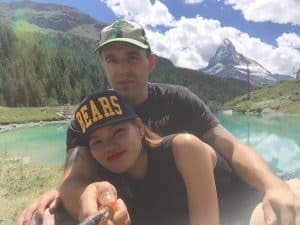 Nice post and interesting point of view, i just asked myself the same question and i mean i live with my Girlfriend in a small apartment and my monthly fix Bills are around 1000Chf, why should i have more than 5000Chf on the side? The point regarding Postfinance fees is a very good one! You should indeed not go lower than 7500 CHF with them. Or if you want to go lower, you’ll want to change bank. Since I’m also with PF, I don’t plan to go too low either. For now, I’ll go down to 10’000, but I may go down lower later. I’m still not totally sure. Next Next post: Emergency Fund – Do you really need one ?